There was a time when going for help or advice regarding your career path looked quite a bit different than it does today. In recognition of the many strides we’ve taken in the field of career development and career counselling, I decided to call on an old friend for some resume advice the way that he would have given it back in his day. Dave: Welcome, Dr. Freud. It’s such an honour to speak with you! Ghost of Freud: Good morning, Herr Lindskoog. What is this… idol that I inhabit? Dave: That’s an action figure of you – quite striking, actually. Look, you can even bend your elbows! Dave: Anyway, I was hoping I you could give me some advice on my resume. I’ve been wanting to touch it up for a while, and thought you might have a… well, unique perspective. Ghost of Freud: Indeed. I vaguely recall something similar to this during my early years in medical school in Vienna. Dave: Right. So, I’ve been wondering – do you think I should include an objective on my resume? Dave: Hello? Did you hear my question? Ghost of Freud: This would be better if you lie down and face away. Just lie on the floor and pretend that it’s a chaise. I get nervous when people look at me. Dave: Is that really necessary? Look, this is my office, not yours! Can’t we just – ugh, okay fine. Is that better? Ghost of Freud: Yes, much better. Now then, let’s start by you telling me about your mother. Dave: Well, she’s pretty great. Everyone’s always saying how nice she is, and – hey wait! We’re supposed to be talking about my resume! Ghost of Freud: Sounds like you’re quite… fond of your mother. Dave: Sure – I don’t see why anyone wouldn’t be. She used to bake every week when we were kids, that was pretty awesome. Oh yeah – she was very supportive, too. Ghost of Freud: Mmm. Tell me, have you ever experience feelings of anger or jealousy towards your father? Dave: Wait, wait. I know what’s going on here. You want me to come to some kind of crazy conclusion that I unconsciously want to kill my father and sleep with my mother. You know, I respect a lot of your ideas, Dr. Freud, but that one is just too crazy. Can you please let it go? Ghost of Freud: Drat. It’s my favourite one. Dave: Well, it’s crazy and a lot of people think you were nuts for saying it. Now, can we PLEASE get back to my resume? 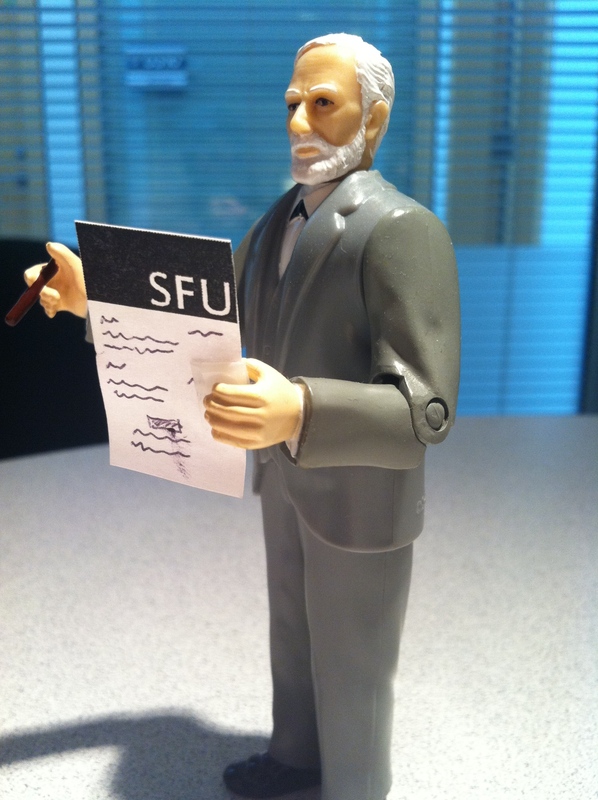 Ghost of Freud: Fine, fine. Okay, let’s try this. Just lay back and say whatever comes to mind. Don’t filter your thoughts. Just let your stream of consciousness flow. Dave: This is going to answer my question about objectives how? Dave: Man, you are frustrating. Okay… well, it’s raining today. The weather is actually really bad, especially considering that it seemed like it was going to be a nice day when I left for work this morning. Hmm… um, what else is there… this coffee tastes good? Dave: Hey – what are you writing? Ghost of Freud: Don’t look at me! Dave: Bah! This is pointless. How did you get people to pay you for this? Ghost of Freud: You’re angry at me because you unconsciously see me as your father. Dave: I told you – no Oedipus complex! I just had a simple question about my objective statement! Should I even have one? Why can’t you just answer the question?! Ghost of Freud: This is good, we’re making progress. Dave: Progress? You’ve done nothing but try to fit me into the weirdest, least helpful theory in psychology. Oedipus himself would be upset. 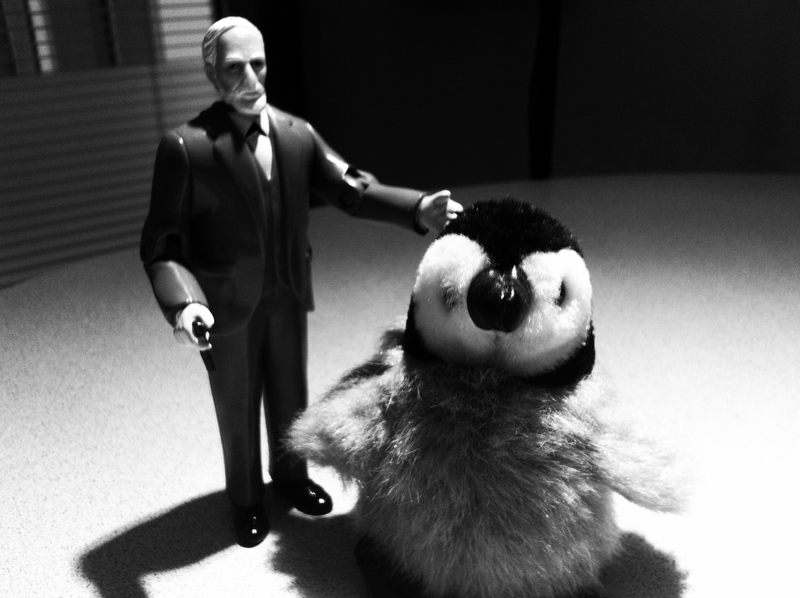 You’re a terrible career advisor, Sigmund. Dave: <sigh> Okay, we’re done here. So, there you have it. We’ve come a long way, folks. A long way.